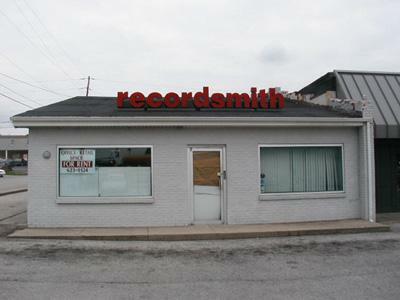 05.24.03: Recordsmith, one of the legendary hangouts for the boys in Central Rock Company throughout their high school days in the mid-to-late 1980's, inexplicably closed its doors at the beginning of the month, with no explanation, foreshadowing, or going-out-of-business sale. 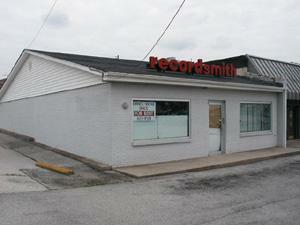 The location pictured here is of the Richmond, KY location on Leighway Drive. 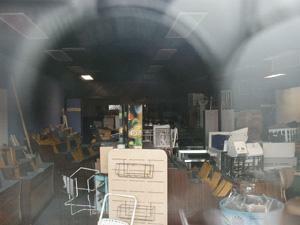 Both the Richmond store and the recently-opened branch office in Berea, KY have shut down. The photos taken on this page are courtesy of Jeffrey Scott Holland. Additional information for this article was taken from Creeps HQ. The store has been immortalized in the film "CRC: The Movie" with a couple of scenes filmed inside, one with the stores original owner, Darrell Smith. The following images are taken from that scene, shot in the fall of 1986. Interior shot and the bins of records. 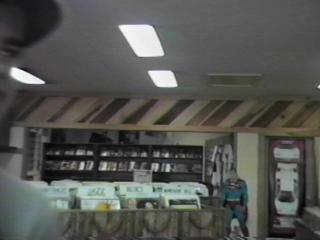 The comic book section ine the back was added in 1986. Wall and counter next to the entrance. 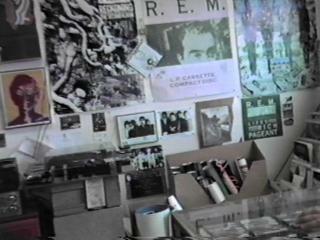 Note the vintage R.E.M. photos and posters. 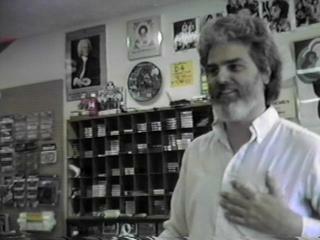 Darrell Smith, Recordsmith founder, standing behind the main counter. 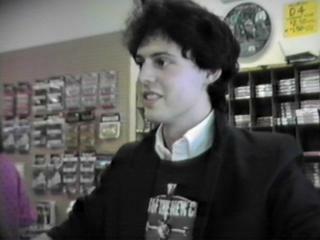 Cameo appearance by Jeff Holland as the Recordsmith owner.